This pattern is still written in MCAL form but contains the finished picture at the end as well as what it is in the title. 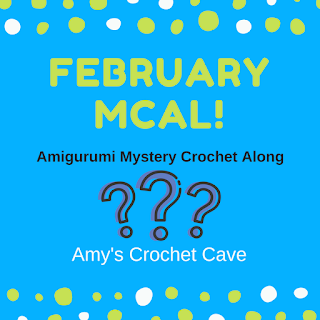 This Mystery Crochet Along pattern has been rated advanced beginner and is free to take part in. Ensure you are happy with all the stitches and equipment to avoid disappointment. To join in chat and info about the test with others join this group. 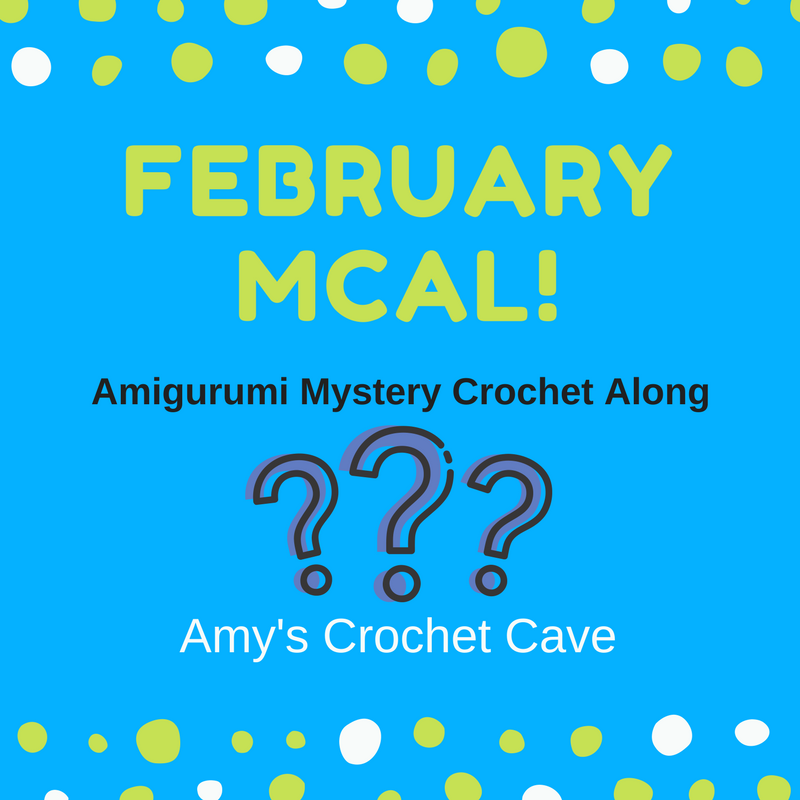 There is a general thread for this MCAL and a spoiler thread where you can share you pictures as you make each clue and guess what you think you are making. Get picking your yarn! It looks good in any colour. Mix and match as you like. Use green and red to clash or a light and dark version of the same colour. DK Yarn – This pattern suits many colours. Dc2tog – work up a dc stopping at the last YO that would normally complete the stitch (this is an incomplete dc). This will leave 2 loops on your hook. Keeping that on your hook, work another incomplete dc into the next st. There will now be 3 loops on the hook. YO and pull through all 3 loops. Dc3tog – work up a dc stopping at the last YO that would normally complete the stitch (this is an incomplete dc). This will leave 2 loops on your hook. Keeping that on your hook, work an incomplete dc into the next 2st. There will now be 4 loops on the hook. YO and pull through all 4 loops. Use invisible decreases for a neater finished product. This is done by using the FLO of the stitches while making the decrease. Changing colour - complete the stitch before the colour change by working the last yarn over of the stitch with the new colour. *7sc, dec * x4 (32) - Stuff the piece and continue stuffing until end. FO – Leaving long yarn tail. Sc (18) – (11 rounds) - Stuff the piece and continue stuffing to end. FO – Close hole, leaving yarn tail. 5sc, dec, 2sc, dec, 5sc (14) - Stuff the start of the piece firmly and the end of the piece lightly. Sc (8) - (11 rounds) - Stuff the piece and continue stuffing to end. FO – leaving yarn tail. FO – leaving yarn tail. This piece is unstuffed. Sc (48) – (10 rounds) – add pipe cleaner and some stuffing to R1-23 to make it posable, bend over any sharp ends to prevent them from coming through. Stuff the rest of the piece and continue stuffing until end. Push the starting tip (approx. R1-4) inwards to add shape. *6sc, dec * x6 (42) – Place safety eyes between R32-33 approx. 10st apart. Using the yarn tail left from clue 1 (body), sew to clue 6 (head) between approx. R29-36 with the eyes at the top. Sew clue 3 (arms) to front sides of the body. There should be approx. 5st between the two. Position so that the MR rests on the ground and the dc2tog stitches face outwards. Sew clue 2 (legs) to either side of the body in a seated position. Between R6-9. Have the MR part of facing forwards and the dc3tog stitches pointing upwards. They are angled out so that the arms sit between them and rest on the ground. Sew clue 5 (ears) to either side of the head. Fold last round of st together using the dec sections to make the top and bottom. The bottom is where there are the extra decreases. Leave approx. 12 st between each ear (counting from the top part of the ear). Sew approx. half way between the front and back of the rounded part of the head. Sew clue 4 (tail) to the bottom back of the body. Cut strands of the C2 and attach them to the start two round of the tail. Use a crochet hook to pull them between two stitches. For finished photos, which may also help with construction, click here. Can anyone tell me which clue is the head and ears please?